Renata graduated from Siauliai State College 2012 (Lithuania) and continued her oral health studies at Dalarna University (Sweden). She has worked in the UK as a qualified Dental Nurse for 7 years in a variety of Dental Practices. Renata is self-motivated, hard working, reliable and honest. She is focused on a team-based approach to patient care, treating an array of medical conditions as well as those suffering from physical and mental challenges. 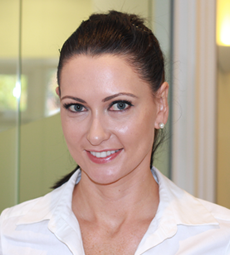 Renata develops effective treatment plans and provides Preventative oral hygiene services. As a Dental Hygienist she is passionate about enabling patients to achieve optimum oral health through education and positive encouragement carrying out the clinical skills as listed in the GDC Scope of Practice and strives to improve her knowledge and skills by continuing professional development. In her spare time Renata enjoys cooking and spending time with her family.